Roger Phillips has been married since 1988 and is the father of three fine young adults. He has been instructing professionally in various forms of self defense since 2005. He is based out of Las Vegas, Nevada and runs his home courses right outside of Vegas, in the small town of Boulder City, known as the home of the Hoover Dam. Roger also travels across the United States teaching his specialties. Roger is a lifelong hunter, competitor, shooter and training enthusiast. Along with this extensive training resume, he brings thirteen years of “street” experience due to living in some of the toughest areas of Southern California. It is this street experience that allows him to qualify and excel in a field predominantly reserved for Law Enforcement Officer’s and Military. Roger brings to the table a unique perspective of the typical civilian dealing with, living, working, fighting, and winning inside of high crime environments. It is this experience and perspective that qualifies him to speak with authority on the ways of the street, the realities of the fight, and the common sense and skills sets necessary to allow his students to prevail on the streets. Roger teaches a very well-rounded and open-minded philosophy and methodology. He believes that the number one asset of a true fighter is fluidity and the ability to adapt to the fluid dynamics of a life threatening encounter. Roger’s specialty is that of point shooting and that is where he really made his mark on the training world. He is often quoted “It is not about point shooting, it is about what point shooting makes possible.” He is a firm believer that “Situations dictate strategy, strategies dictate tactics, and tactics dictate techniques……techniques should not dictate anything.” It is his opinion that point shooting is just one of many necessary skill sets that will allow you to be as deadly as you can possibly be. It is this open-minded, inclusive, and conceptual approach that allows him to take his point shooting specialty and directly apply them to his other specialties, such fighting at night, force on force, the reactionary gunfight, and CQB Tactics in order to make the student as deadly as they can possibly be. 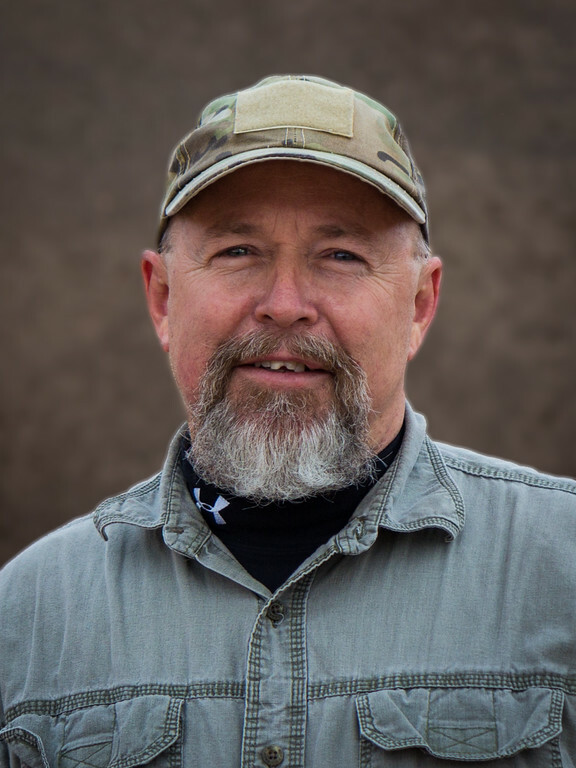 Since 1999, Roger has extensive training in and experience as an Instructor ranging from basic, intermediate, and advanced level courses, in the use of the handgun, shotgun, rifle, sub-machine gun, tactics, mindset, low-light, hand to hand, and knife. Roger has extensive training inside of the world of “The Modern Techniques” but knew that there was much more to “fighting” than the marksmanship base target shooting that was being taught inside of those courses. He received numerous job offers to teach those methods, but felt that it was wrong to teach something that he did not believe in. In 2001 he began a quest to find a philosophy that made “street” sense to him. In this quest, he discovered that all of the different training methodologies out there actually had their place, but it was the application of the varying methodologies within the correct context of the fight that was the most important lesson of them all. Roger is the author of the book “Point Shooting Progressions” and a prolific writer, on various forums and blogs. He has also produced two DVD’s about point shooting, “The Fundamentals of Point Shooting” and “Point Shooting Progressions.” Roger has been featured in several Gun Magazine publications, was the top producing Instructor for Suarez International for six years straight, where he was responsible for establishing the handgun methodology, philosophy, and curriculum’s taught by that organization.